Being a blogger is a lot of hard work. Besides writing blog entries (which can take anywhere from 3 to 5 hours), you would also need to schedule your daily activities well in order to attend events. That is besides the time spent learning to be well versed in Photoshop, Snapseed, VSCOcam and Meitu to make your photos look that much pleasing to everyone's eyes. Bloggers also need to keep up with the latest fashion trends, food and major events in order to become an expert in their area. Most importantly, bloggers need to keep up with their social media personas, and for me, that would be promoting the Evilbean to even more people and extend my reach. That means constantly checking your Facebook, Twitter, YouTube and Instagram and analysing all the social media platforms. HOW TO HAVE TIME? I see the light, do you? With this tool, you can track all the activities on your Instagram and build a close relationship with your most loyal fans and readers through their word-of-mouth, by them tagging their friends in your posts and, of course, their likes. That is how you grow to be more popular. And to do all that, you will need to check out Thoughtbuzz! Headquartered in Singapore, Thoughtbuzz is an interactive social media engagement tool with a network of offices in India, Manila, Jakarta and Kuala Lumpur. Established in 2008, Thoughtbuzz has been providing organisations with actionable insights, through big data and business analytics. Their clients range from small enterprises to government bodies, from risk management to marketing management. And of course, bloggers like you and me. One of the neatest thing in Thoughtbuzz is the Dashboard. It allows me to add all my social media profiles into a single dashboard, which really saves a lot of time switching between all my social media platforms. "Now that you know my username, you know what to do. *winks"
This either means that people love my #ootd, or everyone was bored in their relatives' houses and just surfing Instagram. 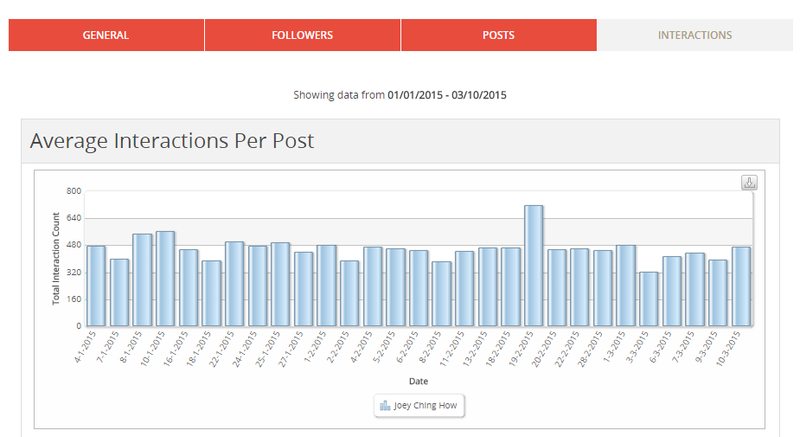 This is a very useful social media monitoring tool if you are a blogger that blogs like a dozen topics of interest. You can use Thoughtbuzz to see which posts actually get you the most interactions, as this means that your followers would love to see more of those type of photos/topics from you. 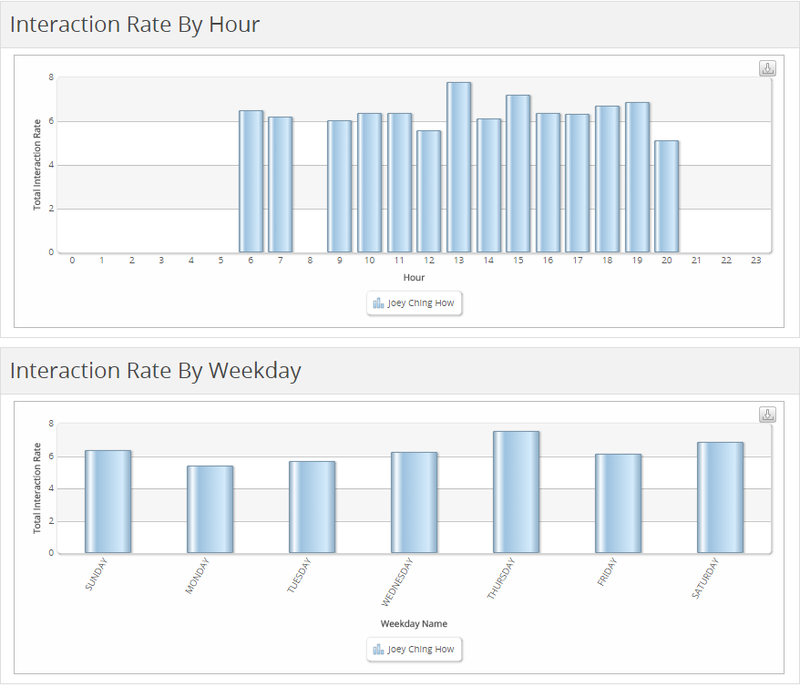 With this chart that Thoughtbuzz churned out for me, I now know which day, and which hour of the day my posts get the most interaction with my followers. Depending on the profile of your followers, this will differ person by person. 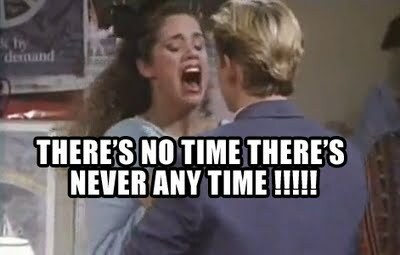 In my case, I should post on Thursdays and Saturdays, and at 1pm, 3pm and 7pm. I am easily frustrated with websites, apps and tools with clunky interfaces and instructions that takes 458973894 years to read. Thankfully, Thoughtbuzz's interface and design is clean and intuitive, and the charts displayed are not rocket-science-PHD-level but simple and easy to understand, which is perfect because, who has 458973894 years to live? Another AWESOME FEATURE which would equip all of us bloggers with a powerful weapon is the Trends page. 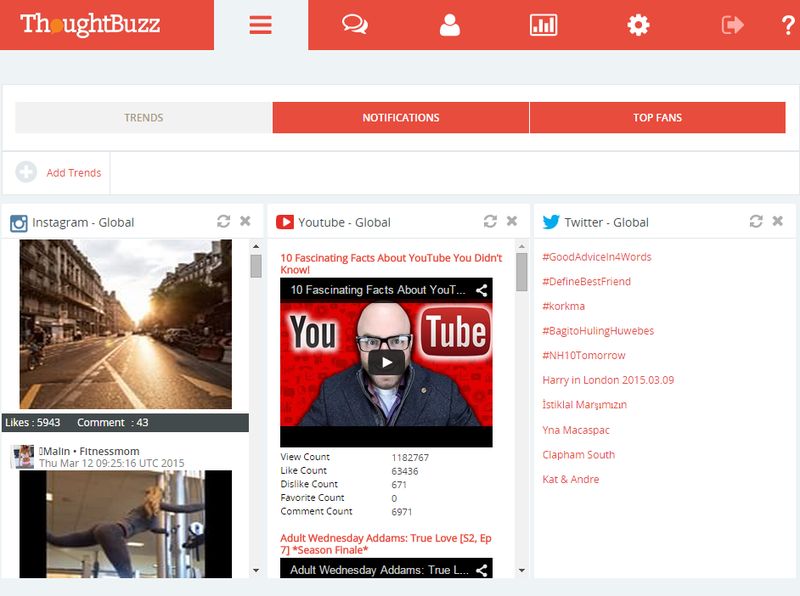 The trends page automatically crawls all the major social media platforms for the current trending posts and topics. If you have been blogging for a while, you would know the importance about blogging the most trending topics, as this would help increase your readership, which in turn helps to grow your followers base and also your ad earnings. This is one powerful weapon that will help all bloggers immensely. The intuitive and clean interface makes Thoughtbuzz very easy to use. Evilbean recommends this tool. Oh did I mention that it's free to try? 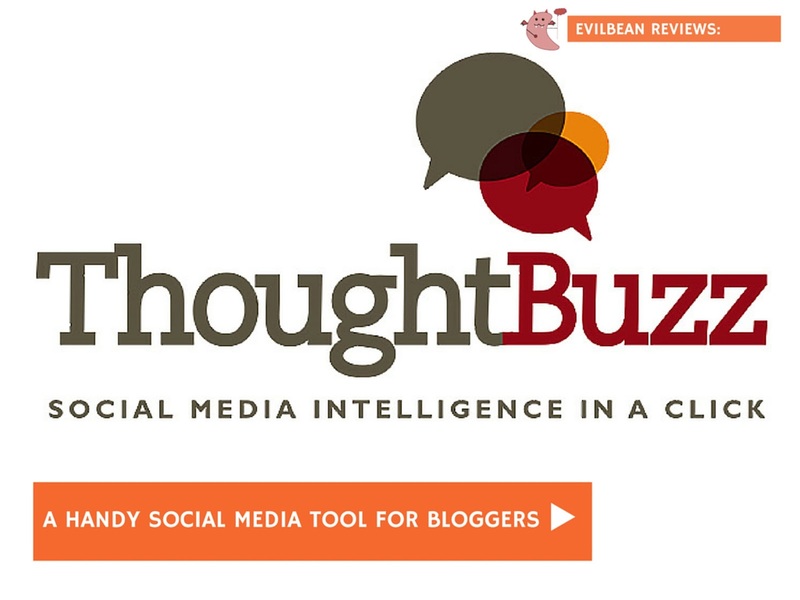 Check out Thoughtbuzz: Social Media Intelligence in a Click on http://www.thoughtbuzz.com and on their Facebook page for more information!